I bring to the Board an extensive work experience in the Queensland Public Sector in various roles, and I have also undertaken volunteer roles in a number of community organisations / clubs over the last 40 years. Since 2008, I have been both a volunteer and member of the management committee of Pine Rivers Neighbourhood association Inc. and a member of the Encircle Ltd. Board of management. As a member of the Management Committee / Board, I have contributed to the policy development process, particularly in the corporate services area and as a volunteer, I have provided advice to management and staff/volunteers on a range of human resource management and organisational development issues. I have held the role of Secretary and Treasurer on the management committee of Pine Rivers Neighbourhood Association Inc. and I am currently Vice Chairperson on the Encircle Ltd. Board of Management. In fulfilling those roles, I believe I have always acted in a manner which upholds the values of Pine Rivers Neighbourhood Association Inc. / Encircle Ltd. The issues of Integrity and Accountability are fundamental to everything we do and the decisions made by the Board. Our deliberations on issues require empathy and compassion when dealing with all our stakeholders, and our aim is always to empower our communities by increasing their capacity to take control of their own situations. Our future challenge in a changing funding environment is to seek ways of achieving additional funding to meet the increasing needs of our communities. If elected to the Encircle Ltd. Board of Management for 2016-2017, I will continue to support its values in Board deliberations and will actively contribute to the good governance of the organisations and to the strategic planning process for the future of Encircle Ltd.
As an Accountant and auditor I bring a wide range of financial and business experience to the board. I focus on working with people to achieve common goals. I believe I bring a sense of perspective to any given situation. I wish to be a director of Encircle because for me, it is an effective and meaningful way to give back to the community. My personal values of fair play, honesty and integrity are important parts of any organizational culture. These aspects together with a desire to contribute to the community in a positive way to help others, align my values and goals with that of Encircle. I have been involved with the organisation since 2008 when I became a member of the Management Committee of the Pine Rivers Neighbourhood Centre. I have continued my involvement at that level as a Director of Enciircle Ltd and have been Secretary of the Board for the past two years. I have also just been asked to Chair the Business Development Committee. I have lived in Pine Rivers since 1983 and my original involvement with the organisation was motivated by a strong sense of wanting to give something back to the area. In my professional life, I am a social planner. 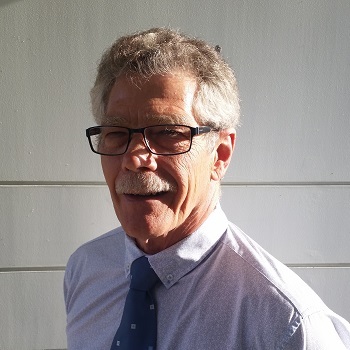 I have worked in local government (including Pine Rivers Shire Council) for thirty years and have managed community development, social planning and community engagement teams. As a Board Member, I am able to apply my knowledge of working with the community sector to support the organisation and decisions made by the Board. I also bring managerial experience, strategic thinking and strong people skills. I have a strong belief in treating people with generosity and compassion. These are values that are at the core of the work that the staff and volunteers of Encircle deliver every day and this is the key reason that I am nominating to continue to volunteer as a Board Member with Encirle. I hold a Bachelors Degree in Laws and a Postgraduate Certificate in Practical Legal Training and I was admitted as a legal practitioner in 2010. I am passionate about social justice and I have a willingness to stand up for those who are less able to advocate for themselves. I currently work for the Queensland Independent Union of Australia – Queensland and Northern Territory Branch (IEUA-QNT) advocating for workers’ rights. My current position not withstanding, I have a long history of working in the not for profit and community sectors. I have previously worked as a native title lawyer advocating for claimant’s land rights. Prior to this I worked as a disability support worker, supporting adults with an intellectual disability to access community services. I believe that my work history demonstrates that I share the same values as Encircle. I am committed to effecting social justice in our community, particularly for those community members who are vulnerable or marginalised. I believe that my experience and principles provide me with a strong capacity to make a valuable contribution to the Encircle Board. I am a highly motivated person with the ability to grasp concepts and new skills quickly. My excellent communication skills coupled with a proven ability to prioritise tasks, organise and coordinate activities, manage time, set, achieve goals and met deadlines can be directly attributed to my current position at IEUA-QNT as an Industrial Officer where I am also an active member of the Work Health and Safety Committee, Industrial Committee and International Committee. In my role at IEUA-QNT I am involved in developing strategies, policies, procedures and services that support our members. As well as identifying member issues and needs. I have the ability to establish quick rapport with co-workers, clients and professionals, exercise diplomacy and tact and enjoy the reputation of providing outstanding service to both, internal and external clients. I am organised, detail oriented, and self motivated and I have a strong work ethic and professional attitude, emphasising reliability, integrity, inclusiveness, teamwork and the willingness to get the job done. In addition to my experience and values, I believe that these skills provide me with the capability to make an effective contribution to the Encircle Board. My involvement in caring for people in the community spans 55 years. I have served in executive positions on the committee that established and ran Fairhaven Retirement Village, Maryborough, Queensland. My wife and I were the pioneer house parents in a “Family Group Home” our church established in Maryborough. From 1975 to 1977 I worked as a Community Development Officer under the Australian Assistance Plan. I chaired the group who established the first After School Care program in Maryborough, was chairman of the group who started the Community Youth Support Program, and was successful in receiving a Government grant and starting the Maryborough and Harvey Bay Family Day care program. I moved to Brisbane in 1985 to take a position as Youth Activities Coordinator organising State wide events for Churches of Christ in Queensland. This led on to becoming the Director of that department and a management roll overseeing three youth camp sites in Queensland. From 1993-2003 I was senior Pastor of Arana Hills Church of Christ. From 2004- 2015 I served as in a part time position with Bray Park Community Church heading up their Mercy Ministry. This position bought me in contact with the then Pine Rivers Neighbour Centre where we established the Combined Churches Care Network. I was part of the working group who started the N.I.L.S. program. I am a CAP Money coach and presently coordinate the volunteers in the garden at Encircle. I would bring to the Committee my administration skills, my knowledge of the Pine Rivers Community and my heart for helping people in their times of need. I have lived in Pine Rivers since 1973 and have seen many changes during that time and am always amazed by the progress and development. My children have also chosen to settle in the area. My working career has been 30 years experience in Banking. Working the departmental and branch fronts, performing a wide range of duties and office management. I have worked in many branches in both Queensland and New South Wales. Dealing with cultural diversity and the hardships associated with new comers to Australia has also been a part of my experience. My passion was and is for people to make the most of what they have be it large or small. After retirement I was fortunate to start my 11 years volunteering with Pine Rivers Neighbourhood Centre then becoming Encircle. I have always worked at the coal face on phones and reception greeting. Seeing and hearing about the needs of the community first hand. Listening to people and observing situations. At all times recognising the need for a dignified and respectful approach. I am amazed and proud to be associated with Encircle/Pine Rivers Neighbourhood Centre. To appreciate the progressive nature and foresight in the area of strategic planning, projections and goal setting to cope with the enormous growth happening in our catchment. I will observe and absorb all matters raised at the Board Meetings with an open mind and willingness to learn, consider and discuss with a positive attitude. I respect the Section Managers efforts and achievements in controlling, monitoring and growing their areas. Collaboration with like-minded organisations is beneficial seeking knowledge sharing resources to further meet our communities needs. 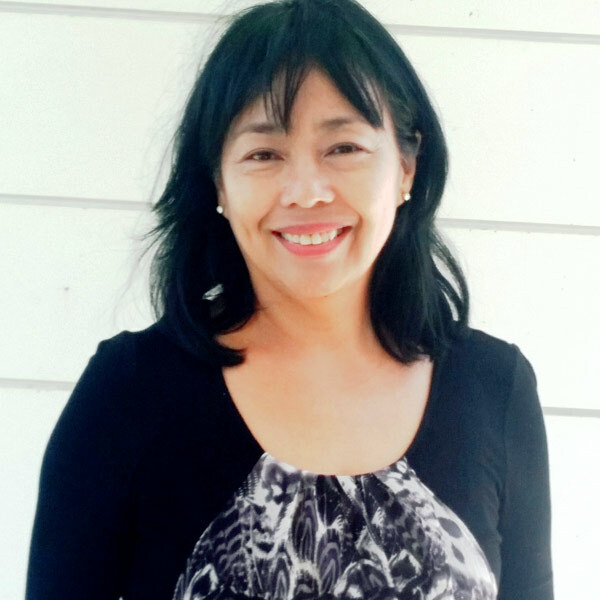 Maripez Rosel was born and finished college in the Philippines, before arriving in Australia at age 35. With 20 years of experience working across marketing, desktop publishing, data analysis and website maintenance, she brings a flexible skillset to the table. Futhermore, Pez is notably known for her positive and generous nature. Her dependable, self-motivated, caring and cheerful energy is infectious, extending to all those around her. This is evidenced in her volunteer work for the Heart Foundation, 139 Club, Brisbane Festival, Ready Reading Queensland and of course, Encircle. In her down time, she cares for her 94 year old mother and loves to be around her large and growing Filipino family. Being a mother to her daughter Pamela is perhaps her proudest achievement. I am a Human Services graduate, current Queensland Government Employee and a future Queensland Government Policy Futures Graduate Program Participant. I am also the first within my family to go to university, and up until my current role there had only ever been one other time in my life, that I had not been multi-generation welfare dependent. Due to my personal experience, I am passionate about personal development, breaking the cycle of disadvantage for myself and my family, and helping other young people to development and learn how to achieve the same for themselves. Being provided the opportunity to nominate for the Encircle Board has already been a great privilege. This is due to the opportunity it presents for being part of the strategic direction of a community organisation that is helping current and future generations break their cycle of disadvantage. I aim to strengthen the leadership of the Encircle Board by utilising my personal, professional and academic knowledge and experience and most importantly, by being a representative voice for young people. Cheryl was born in Brisbane and grew in the southside suburb of Annerley. 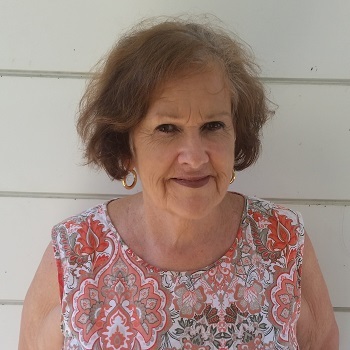 She began her working life as a primary school teacher and then moved to the Pine Rivers area in 1972 where she and husband Brian Springer reared five children. In 1987 Cheryl and Brian began a small business which they managed together for 12 years. This successful communications company in Bowen Hills primarily serviced the “fast food” industry supplying headset systems to McDonald’s, Hungry Jacks, KFC and other smaller companies. Other corporate customers included Coles, Woolworths, Franklins, and a large number of Aged Care facilities supplying emergency nurse call systems. Cheryl was the financial controller and HR manager of 25 staff until this business was sold to Chubb Security in 1999 and was followed by three years of consultancy to Chubb. Subsequently, Cheryl, Brian, and eldest son, Joseph, started Springers Solar in 2002. Springers now employs eight family members and 26 others in sales and installations of solar and batteries on and off the electricity grid and electrical sales and installations for caravan and motorhome owners. Cheryl has been the CFO and HR Manager of 34 staff for Springers Solar for the last 16 years during which time the business has become a leader in the local business community and well-respected company within the solar industry. Cheryl has also been focused on the local business community by being involved in the Moreton Bay Regional Council business development events and workshops and with her involvement with the Pine Rivers Chamber of Commerce where she has been the President since 2011.